Dr. Mia Lindgren teaches broadcast journalism at Monash University in Melbourne at both undergraduate and master levels. She has been involved in the Australian Asbestos Network since 2006, when lecturing at Murdoch University. 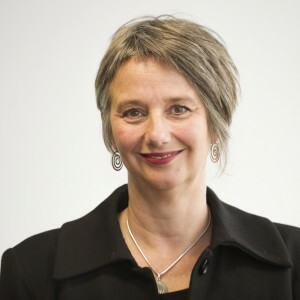 She is responsible for leading many of the interviews on the website, as well as producing two in-depth radio documentaries about asbestos broadcast on ABC Radio National: Deadly Dust, 23 November 2008 and Living with Asbestos: the Third Wave, 21 October 2007. Mia worked as a radio and television journalist for the Swedish Broadcasting Corporation before moving to Australian in 1998. She has co-authored two books: Australian Broadcast Journalism and Den Sjalvkorda Radioboken (2005). She was also a visiting producer with ABC Radio National’s Social History and Features Unit in Perth in 2008.